The adoption journey is not an easy one. After three years and nine months of active pursuit, my husband and I finalized our adoption on Nov. 29, 2017. Through this process, I learned a great deal that has helped me grow as a counselor educator and supervisor. For example, I learned the benefits of being a part of a support group after involvement in several different adoption support groups. Although I have always valued such groups, and facilitated many, the personal experience of being a participant deepened my appreciation of their benefits. I was also greatly reminded of the beauty and benefit of empathy. When those who supported us during our adoption process were able to put themselves in our place to the point of weeping with us (rather than for us), it was deeply meaningful. We talk and teach empathy as counseling professionals, but when we experience the other side of it, it allows us to more richly understand this critical component of counseling. So, what does social justice have to do with adoption? Let’s take a brief look at the social justice for the birth parent(s), the adoptive parent(s) and the adopted child(ren). 1) Justice for the birth parent(s). There are at least two categories of birth or biological parents in the adoption process — those who choose to place a child for adoption and those who have their children removed from their care. In both instances, these children should be treated fairly. For those who have children taken from their home, there is due process that government agencies must abide by. These parents have rights that should be respected. Likewise, those who are choosing to place a child for adoption have rights. They should be fully informed about the adoption process and should be offered counseling to address the possible short- and long-term impacts. As a matter of social justice, they should be treated as equals — they are still parents who made a plan for their children out of love. This is also the motivation for the adoptive parent(s). 2) Justice for the adoptive parent(s). During the adoption process, adoptive parents should be treated with compassion and empathy. After the adoption is finalized, the adoptive parents should be treated like the parents they are. The word “adoptive” can and should be dropped. The adoption was an action that is now completed. That certainly doesn’t mean that we should hide or be ashamed of the fact that the child was adopted. Rather, it is something to be celebrated. However, those who are raising children they have adopted should be treated as equal to parents who are raising biological children. Remember, social justice has to do with a fair relationship between individuals and society. This should also be explored for the children who have been adopted. Regardless, the child who is adopted should be treated like every other child — just as precious and just as wanted. These children should also be provided the opportunity to receive as much information about their backgrounds as is age appropriate, depending on their ability to process and cope with the information. Additionally, they should be offered counseling if the need should arise. We should not talk about children who have been adopted, but rather to them. Their right to privacy should be respected not only by the helping professionals in their lives, but by everyone who knows about their story. This is a fair relationship between these individuals and society. According to the American Academy of Child and Adolescent Psychiatry, approximately 120,000 children are adopted each year in the United States. Therefore, counselors are sure to encounter individuals who have placed their children for adoption, who have been adopted or who have adopted children in the past. It is important for counselors to understand each of these three components — these human beings — as we work with them. We can learn a lot about social justice by looking at their experiences. A national certified counselor and licensed social worker, Laurel Shaler is an associate professor at Liberty University, where she serves as the director of the Master of Arts in professional counseling program. Additionally, she writes and speaks on the intersection of faith, culture and emotional well-being. She is the author of Reclaiming Sanity: Hope and Healing for Trauma, Stress and Overwhelming Life Events. Her next book, Relational Reset: Breaking the Habits that Hold You Back, will be released in 2019. Contact her at drlaurelshaler.com. In fall 2015, there were 427,910 youths in foster care, according to the most recent statistics available from the U.S. Department of Health and Human Services, marking the third consecutive year that this number has increased nationwide. Of those youths, 61 percent were removed from a home because of neglect and 32 percent were removed because of a parent’s drug use. Given those statistics, it’s not surprising that many of the youths in foster care have trauma histories, but the process of being removed from a caregiver is traumatic for a child in and of itself, says Evette Horton, a clinical faculty member at UNC Horizons, a substance abuse treatment program for pregnant women, mothers and their children at the University of North Carolina School of Medicine in Chapel Hill. “Any kind of separation from your primary caregiver is considered trauma, no matter what the age of the child,” says Horton, a licensed professional counselor supervisor (LPCS), registered play therapy supervisor and American Counseling Association member. To that end, Horton says that counselors’ skills and expertise with children and families — as mediators, relationship builders and client advocates — can be integral to improving the lives of children in foster care, while also supporting their foster families and biological families, as appropriate. Horton oversees the mental health treatment of children, ages birth to 11 years, whose mothers receive substance abuse treatment at UNC Horizons. Through her work, she has the opportunity to see both sides of the foster care coin. In some cases, a mother is able to make the progress needed to be reunited with her children who have been in foster care while she was in treatment. But Horton also sees mothers who are unable to maintain their recovery. In cases in which a child is being put at risk by the mother’s substance abuse, Horton must file a report with child protective services (CPS). Throughout her career, she has assisted biological families, foster families and children with the transitions into and out of foster care, and also worked with the court system and CPS. For counselors unfamiliar with the complexity of the foster care system, Horton stresses that practitioners must be very careful to identify who, exactly, is their client. This in turn will dictate with whom a practitioner can share information, to whom they have consent to talk and who needs to make decisions and sign paperwork on behalf of a minor client. For children in the foster care system, the legal guardian is often CPS. This can become even more complicated for practitioners when a child is returned to the biological parent’s home on a temporary or trial basis. In such instances, CPS still retains custody of the child, Horton explains. Eberts suggests that counselors working with families and children in the foster care system educate themselves by reading the client’s case file thoroughly and collaborating with caseworkers and the biological family (if possible) to find out more about the child’s background. If details are missing from the case file, particularly about the circumstances of the child’s removal from the biological parent, counselors should attempt to speak to a caseworker or other official who was on-site as the removal happened, Eberts says. However, Eberts notes, practitioners should also be aware that case files often contain details that can spur vicarious trauma. “Reading some of the children’s files can be really heartbreaking. That self-care piece that we talk about so much with counselors is really, really important [in these cases],” she says. One of the most important ways that counselors can support foster parents and improve the lives of children in foster care is to “translate” the children’s behaviors for those around them. This includes explaining what a child’s behavior means and what motivates it, and then equipping both the child and the parents (both foster and biological parents, where appropriate) with tools to redirect the behavior and better cope with tough emotions. Eberts shares a painful example she experienced while working as a school counselor. A young student told her foster parents that she didn’t want them to adopt her. Stung by the girl’s pronouncement and taking her words at face value, the couple returned her to the foster care system for placement with another family. Despite their good intentions, foster families may not always understand a child’s behaviors, and adults may interpret a child’s symptoms of anxiety as defiance. For example, the foster parents of a child who refuses to eat vegetables or who puts up a nightly struggle over going to bed may feel the child is being stubborn or testing their authority. In reality, Horton explains, the child may never have been fed vegetables or slept alone before. Misunderstandings can be further compounded when a child comes from a different culture or socioeconomic background than his or her foster family, she adds. Sarah Jones, an ACA member and doctoral student in counseling and student personnel services at the University of Georgia, agrees. Jones and her wife are foster parents. Over the past five years, they have had 20 different children, all under the age of 7, stay in their home. Jones says the vast majority of children she has seen in the foster care system in Georgia have come from low socioeconomic backgrounds. It is common for these children to present insecurities about food, shelter and other basics, she says. Foster parents and counselors alike “can give [these children] a glimpse of what the world can be. It can be a place where there is enough food, where there is enough love,” says Jones, who presented on narrative techniques with college students in foster care at ACA’s 2016 Conference & Expo in Montréal. At the same time, Jones stresses that counselors should avoid assigning blame to the biological parents, the child or a system in which caseworkers are vastly overworked and underpaid. Jones thinks of it this way: The moment when a child is removed from his or her home is the low point for the biological parent or parents, but things will not necessarily stay that way. “It’s like we’re taking a snapshot of someone in their worst-case scenario and making generalizations for their entire lives. … Sometimes we equate that to [these parents] not loving their kids, but sometimes love is not enough,” Jones says. B.J. Broaden Barksdale, an ACA member and LPCS in Katy, Texas, has worked with children and families in Texas’ foster care system for 18 years. Initially she did home monitoring and assessment of foster families and then transitioned into working as a therapist with children and families in the system. The behavioral issues with which children in the foster care system often struggle can be accompanied by tantrums, outbursts and emotional flare-ups, Barksdale says. She likes to use trauma-focused cognitive behavior therapy and the Trust-Based Relational Intervention (TBRI) to provide these children and their families with tools for better functioning. TBRI’s four-level response method helps caregivers to redirect the child’s behavior while maintaining a connection and using the least severe response possible, Barksdale says. Counselors can use this method in their own work with foster children and in coaching parents and caregivers on how to use the method at home. Level one: Playful engagement. To start, a caregiver or other adult should remain playful and light with the child. For example, if the child comes home from school, slams the door and drops his or her backpack on the floor, a caregiver could respond with, “Whoa! What’s this?” or some other lighthearted remark, Barksdale suggests. Then the child could be given a do-over. Or, if a child makes a demand of an adult, such as “Give me that!” the reply could be, “Are you asking or telling?” If the child doesn’t have the right words to ask appropriately, a counselor or parent can phrase the question and have the child repeat it. Regardless, Barksdale says, the key is to maintain a kind, playful tone and to redirect the child to keep the situation from escalating. Level two: Structured engagement. If a child does not respond to an adult’s initial playful response, the next step is to offer choices. If a child is refusing to go to bed, give the child a voice and ask what would help him or her get to bed on time. For example, “How about turning off the TV 30 minutes earlier? How can we compromise?” This empowers the child to choose, avoids a power struggle and teaches the child compromise and conflict resolution, Barksdale says. Barksdale emphasizes that the adult should also consider the bigger picture of the child’s day. Has the child been overstimulated or particularly busy? Does the child need some quiet time, a drink or a snack, or something else? Level three: Calming engagement. If a situation escalates to this level, the child should be given time to pause, cool off and think things through. Barksdale encourages foster parents to designate a space in the home for this very purpose. It should be a safe, comforting space where a child can spend time alone, relax and be quiet while an adult is nearby, she says. Level four: Protective engagement. When a situation escalates to the possibility of violence, a caregiver can use accepted restraints to calm the child (but only if trained to do so through the foster care system or another agency). The adult must stay calm and reassuring and should remain with the child until he or she is calm enough to talk through the situation. D: Directly to the child, through eye contact and undivided attention, with a calm voice. Barksdale says she often gets down on the floor with younger children to better connect and because it makes her appear as less of an authority figure. E: In an efficient and measured manner, with the least amount of firmness required. A: Action-based, by redirecting the child and providing a do-over or giving the child choices. This could include role-play, in which the adult acts out two responses that the child could choose, one of which is inappropriate. L: Level the response to the behavior, not the child. Criticize the behavior as being unacceptable, but not the child, Barksdale explains. Eberts agrees, noting that counselors should consider the backgrounds of the children they are working with and the reasons they were removed from their biological homes. Counselors can then use that information to identify the child’s major needs. For example, Eberts worked with a foster family that included an 8-year-old boy who was placed in foster care when he was 2. His biological parents had issues related to drug use and were running a methamphetamine lab in the home when he was taken from them. The boy was prone to outbursts that sometimes became violent. Eberts worked with the child on building connections with people and trusting that his needs would be met. She used play interventions to help the child learn to express himself, identify emotions and process his frustration. Eberts also equipped the foster parents with tools to de-escalate his tantrums, including recognizing the cues the child gave leading up to his outbursts, and calm, consistent methods for responding when outbursts took place. Counselors can keep these insights in mind when working with children and families in the foster care system. Regression is common. For children who have experienced trauma and instability, progress will often be accompanied by spurts of regression. For example, a child who is potty trained may suddenly start having accidents when moved to a new foster home, Horton says. 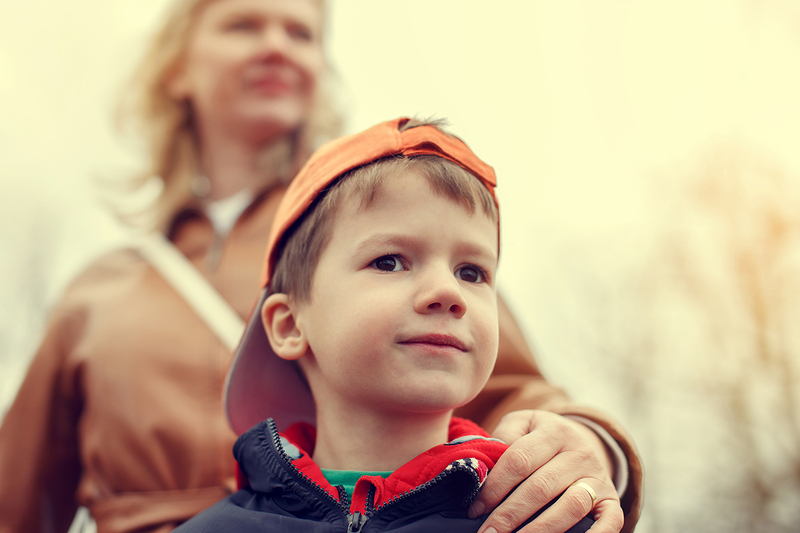 Counselors should coach foster parents not to get discouraged if a child regresses. Meet children where they are. Many children in the foster care system will lag behind their biological age developmentally, from emotional maturity to speech skills. Counselors should tailor their therapeutic approaches to a young client’s level of development, not the age on his or her file, Eberts says. Keeping that in mind, the expressive arts and tactile interventions such as sand trays and art, dance and movement therapies — in other words, methods other than talk therapy — can be particularly useful with children in the foster care system, Eberts says. The importance of structure and routines. If children are coming from a background ruled by instability, it is helpful for counselors to work with foster families on establishing routines and clear expectations. “Make sure there are as few surprises as can be,” Jones says. For example, it can provide a sense of security for the family to have a movie night every Saturday or to eat dinner together at the same time each evening. Nighttime can be particularly troubling for foster children, so establishing an evening routine and sticking to it — such as brushing teeth and then reading a book together — can be helpful, Jones adds. Horton suggests that counselors work with foster families to create and post a list of age-appropriate house rules and a daily routine or calendar. If the foster child is too young to read, these lists can be illustrated with pictures. This becomes even more effective if the counselor has access to both the foster and biological families so that the lists can be posted in both homes, Horton says. When possible, the same can be done with a compilation of photos of the child’s biological and foster families, she says. Prepare for transitions. Transitions both large and small, whether they encompass switching schools or simply transitioning from playtime to bedtime, can be hard for children in the foster care system. Counselors can suggest that foster parents provide plenty of gentle, advance notices that a transition is coming, such as 30 minutes, 15 minutes and five minutes before a child needs to finish playtime to go grocery shopping with the family, Barksdale says. Goal setting and journaling. In the counselor’s office, engaging in dialogue journaling and goal-setting exercises can be helpful for youths in the foster care system, Jones says. The power of pictures. Horton often creates picture albums for her young clients who are transitioning between foster care and home placements. She contacts adults the child is acquainted with to ask for photographs of biological relatives, foster family members and other important people in the child’s life. She looks at the book with the child at every counseling session because it serves both as a conversation starter and a way to remember loved ones, she says. “Sometimes we have to help create the story that helps the child make sense of what happened,” Horton says. Coping tools and self-regulation. Many children in the foster care system can be flooded with anxiety and strong emotions, including anger, Horton says, which can make self-regulation exercises, from mindfulness to breathing exercises, particularly helpful. Horton often brings bubbles to counseling sessions. She shows the children how to make big bubbles — which also teaches them how to take slow, deep breaths, she says. In the case of another young client, self-regulation included getting outside. His foster family had a trampoline, and they would all go outside and jump together. This made a difference because rather than just shooing him out the door, they stayed with him to work through his anger as they jumped, Horton says. As a foster mother, Jones is all too familiar with working to form bonds and relationships with children in her care despite knowing that they may soon transition back to their biological families. This break can be quite painful for foster families, she says. “It’s important for counselors to give families a space to grieve,” Jones says. “There was a period of time when our family had two significant losses back to back. A child we had from birth transitioned to her mother after 16 months. Then, less than three months later, a child transitioned from our home into her father’s home and, less than one week later, died from natural causes. The grief associated with these experiences impacted every member of our family — even our dog was acting depressed. My counselor gave me a space to experience very big and painful emotions, then eventually helped me make meaning from my experiences. For 2015, the median age of the youths in foster care was 7.8 years old. The median amount of time in care was 12.6 months and the mean was 20.4 months; 53,549 children were adopted with public child welfare agency involvement. Between 2014 and 2015, 71 percent of states reported an increase in the number of children entering foster care. The five states with the largest increases were Florida, Indiana, Georgia, Arizona and Minnesota. For decades, white Americans have adopted children of color here in the United States and from other countries such as South Korea, Guatemala, China and Ethiopia. In many cases, these children are raised in white families with no awareness of the culture they came from. This was particularly true in the past, says licensed professional counselor Susan Branco Alvarado, who specializes in counseling clients who were adopted, adoptive families and birth families. “It used to be that back in the day, they [transracial adopted children] would just assimilate, but we’ve come to a point where we know that backfires,” says Alvarado, an American Counseling Association member who is a clinical assistant professor and division director of the Loyola Clinical Centers at Loyola University Maryland. Even so, many families today are still unprepared for the challenges that transracial adoption can pose, Alvarado says. 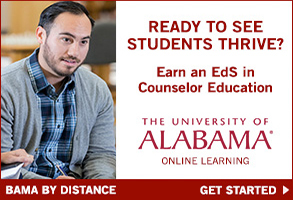 For that reason, counselors can serve as a vital source of information and support, she adds. If white parents fail to acknowledge their adopted child’s race, they are leaving the child unprepared for a world in which he or she will be perceived as a person of color, Alvarado says. Children in transracial adoptions may face teasing or bullying not only because they might be different from their peers, but also because they do not look like their parents look, she adds. And even if these children have schoolmates of color, they still may find themselves feeling like outsiders because their primary exposure has been to white culture, Alvarado explains. Experts encourage white parents with children of color to do their best to expose children to their birth culture or race instead of focusing so much on assimilating them to the parents’ culture. “More parents are [now] doing things like culture camps, birth country visits, taking Chinese lessons or going to an African American person to cut the child’s hair,” Alvarado says. Alvarado acknowledges the value of these efforts, but she adds that research shows it is even more beneficial when the whole family is immersed in the adopted child’s birth culture. For example, instead of living in a predominantly white neighborhood, it is helpful for these families to move to a more diverse location to live among people of color. Counselors obviously shouldn’t tell a family where to live, Alvarado says, but they can provide the family with support and information. For instance, Alvarado recommends that counselors help parents look for community organizations that support people who are part of the child’s birth culture or racial group. 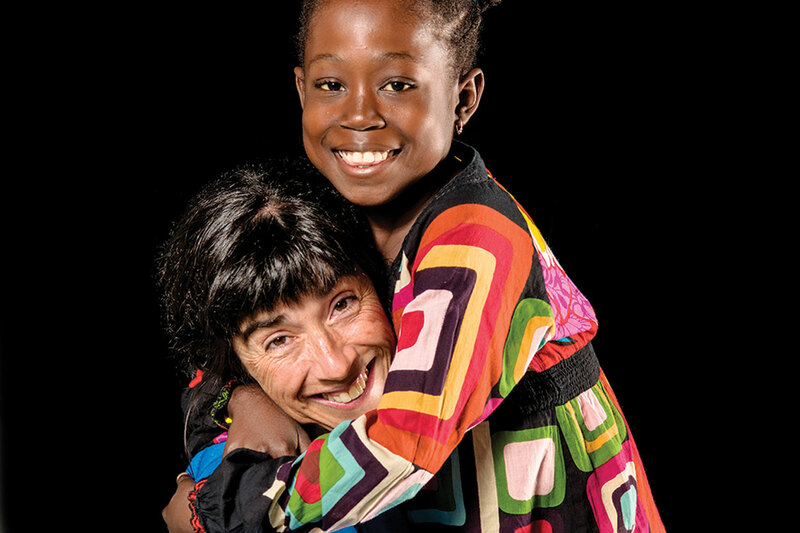 For help with this and other aspects of transracial adoption, she recommends Pact (pactadopt.org), a nonprofit adoption organization whose mission is to serve adopted children of color. Pact not only places children of color but also provides support and resources for adoptees of color and their families. 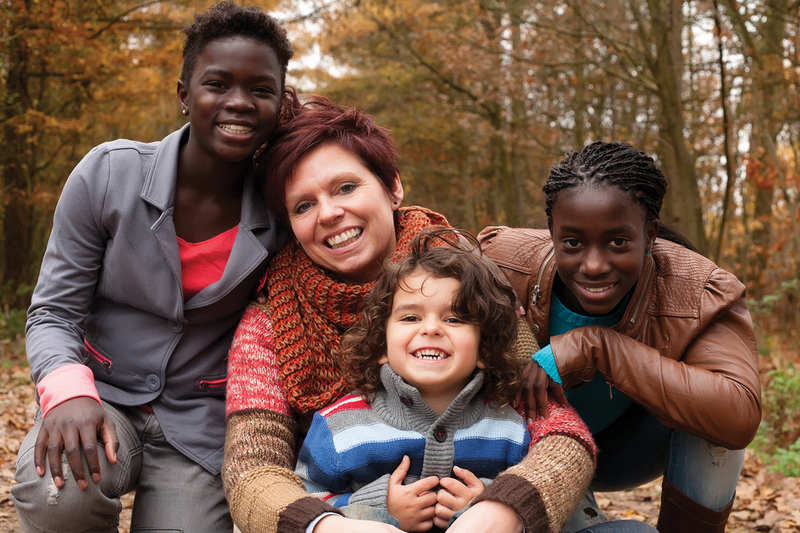 Parents can also find local transracial adoption organizations or connect with support groups online. Even parents who have exposed a child to his or her birth culture and are living in a diverse neighborhood should be aware that the child will be curious about his or her history. This can cause feelings of exclusion or loss because the adoptive parents can never be part of that culture group. They can learn about it, but they will never “belong” to it, cautions Alvarado. Counselors who work with transracial — or any — adoptive family should also examine their own biases, Alvarado emphasizes. Professional counselors are often challenged with providing the “space” Myers describes to normalize, validate and encourage transracial adult adoptees to explore their pre-adoption histories, their racial identity development and their relationships with their adoptive and birth families. Although we do not have data on the current number of transracial adult adoptees residing in the United States, the 2010 U.S. Census reported 2.1 million adopted children under the age of 18 living in households. A 2007 survey of adoptive parents sponsored by the Department of Health and Human Services indicated that 40 percent of all adoptions, regardless of type (private domestic, foster to adoption or international), were transracial. Specifically, most transracial adoptive families are composed of white adoptive parents with children of color who eventually grow up to become adults. Counselors, possessing a foundation based on a wellness model, are particularly poised to offer multicultural and adoption-sensitive counseling services to adult transracial adopted persons. Even so, it can be easy for counselors to overlook, minimize or misinterpret common clinical presentations of this population. Tara (identifying information altered for the purposes of this article), age 26, is a biracial (African American and white) adult adopted person who sought counseling with me to address her ongoing symptoms of anxiety and for assistance with a potential reunion with her birth family. She had previously engaged in counseling services on multiple occasions but had found that although counseling temporarily aided her in times of crisis, the services generally were not helpful in addressing her longer term concerns. Specifically, Tara reported to me that in previous counseling attempts, her counselors had not inquired about her adoptive status or her racial identity. Consequently, she did not feel it was acceptable to bring those topics up herself. I will describe Tara’s counseling process after each section of this article to better highlight the framework, techniques and structure of counseling that we utilized. David Brodzinsky, Marshall Schechter and Robin Marantz Henig’s 1992 book Being Adopted: The Lifelong Search for Self describes their research that yielded a developmental stage theory, similar to Erik Erikson’s stages, that is unique to adopted persons. The stages describe tasks such as attaching to one’s adoptive family in infancy, learning one’s adoption story during middle childhood, developing racial and adoptive identities in adolescence and considering a birth family search in adolescence and/or young adulthood. Some tasks, such as coping with adoption grief and loss, permeate throughout the life span. Sometimes typical young adult and adult milestones, such as launching from the home for college or employment, developing intimate partner relationships, choosing a career or becoming a parent, trigger adoption-related tasks. For transracial adopted persons, launching into adulthood may mean moving away from their adoptive families, who are often white, and exposing themselves to racial/ethnic discrimination or microaggressions. Amanda Baden, Lisa Treweeke and Muninder Ahluwalia’s reculturation model, published in the Journal of Counseling and Development in October 2012, is a particularly useful framework to assist this population in delineating and determining where they may fall on the continuum of ethnic, racial and adoptive identities. The model can also facilitate discussion on experiences of racial/ethnic discrimination. Reculturation is described as the unique process that some transracial and international adopted persons engage in to reclaim their lost original cultural, racial and ethnic identities. The model illustrates how many transracially and internationally adopted persons lose their connections to their original cultures and racial/ethnic groups when they are adopted and leave their first families. This is especially the case when they are adopted by white parents. The reculturation model includes a phase describing the process by which transracial adoptees seek information about their birth cultures in late adolescence, as young adults or as adults. Tara’s self-referral for counseling was ignited by new information about her adoption story and considerations for search and reunion. She described lifelong issues with anxiety, feelings of detachment from family and romantic relationships, and struggles with her racial identity. Tara indicated that she felt reasonably trusting that this newest counseling experience might prove more helpful than past experiences. Specifically, she cited my advertising materials and biographical information that used “adoption-friendly” and welcoming language. Assessment and evaluation of transracial adult adopted persons for treatment planning purposes requires the same ethical standards of practice that are applied when collaborating with any client population. Careful and thorough clinical interviews and consultation with former providers and current medical providers (with appropriate releases of information, of course) are crucial. When considering the diagnoses, evaluations and assessments given by previous providers, it is important that counselors ascertain how, if at all, the client’s adoptive and racial/ethnic identities and background were incorporated into those evaluations. Unfortunately, far too often, mental health providers have misdiagnosed or overdiagnosed adopted persons on the basis of adoption stigma or a lack of adoption and multicultural competency. Counselors following best practices will strive to balance previous evaluations and assessments with their own knowledge of the context and background of the client’s adoptive, racial and ethnic identity status so that a pathological or inaccurate diagnosis is not maintained. For assessment purposes, counselors also need to be mindful that many adopted persons, both transracial and same race, may have missing information regarding family medical and/or mental health histories, as well as prenatal and perinatal care and circumstances. For persons adopted after infancy, major gaps in childhood development information may exist. In such cases, it is important to acknowledge any grief, loss or anger the client feels regarding lack of access. It is also important to validate the social justice aspect of this person being deprived of basic information that most nonadopted persons have by default. If the client does have information available — for example, child welfare records, orphanage/institution reports and/or foster family records — counselors should ask if the information may be reviewed together in session. Records and information from prior caretakers and institutions, although not always entirely accurate, can be useful guides in helping the client piece together a narrative of his or her early life history. John Bowlby’s attachment theory is based on the trust developed in relationships between the parent(s) or caregiver(s) and the child. This theory is often utilized with adopted populations because it also examines the impact to the attachment process when a child is separated from his or her caretaker or parent. Unfortunately, along the way, some adoption professionals grossly mischaracterized this theory to endorse unethical and harmful therapeutic practices that are most often referred to as “attachment therapy.” Counselors should be alert to and aware of their clients’ experiences with any type of attachment therapy so they can assure these clients that they will not be subjected to this kind of treatment in their current counseling situation. In addition, counselors should determine the extent of trauma, if any, experienced by these clients during previous treatment episodes. Despite the negativity associated with so-called attachment therapies, there remain valid and credible attachment-related clinical assessment tools that can be useful in counseling. In 1985, Mary Main and her colleagues developed a 19-item questionnaire, the Adult Attachment Interview (AAI). Later on they created a coding system that has been empirically validated to show that the AAI reliably determines a person’s attachment-seeking strategies. The questionnaire, which asks about a client’s relationships with family members, experiences with loss and trauma, and caregiving experiences from a young age to young adulthood, often can aid the client and counselor in determining how the client’s attachment strategies may be affecting his or her current relationships (usually intimate partner relationships). It can also identify incidents of trauma and loss that need reparation. Tara’s assessments included a clinical interview, multiple in-session reviews of her foster care records and the AAI. One of Tara’s previous providers had diagnosed her with reactive attachment disorder (RAD) during her teenage years. This diagnosis had not been explained to Tara previously, and it was uncertain how, other than Tara’s adoptive status, the clinician had arrived at that conclusion. The RAD diagnosis was not part of Tara’s current clinical picture because she did not meet the diagnostic criteria. Instead, it highlighted an example of a potentially inaccurate diagnosis that was likely based on bias or stereotypes of persons from foster care backgrounds. During the beginning of Tara’s treatment, we reviewed her records from the child welfare system. This information provided Tara with the groundwork needed to develop her treatment plan. Her records mainly highlighted the neglect and poor quality care she had received from infancy until her first foster home placement as a toddler. They also described basic details about the challenges her birth mother experienced while attempting to parent Tara and provided information about possible older siblings of whom Tara had previously been unaware. Finally, Tara’s responses to the AAI offered information on how her attachment strategies, characterized by intense anxiety and fear of losing important relationships in her life, developed throughout her lifetime. The AAI also revealed trauma she had experienced in relation to being one of the only persons of color in her community. These experiences included multiple incidents of racial teasing as well as more subtle microaggressions. The beginning treatment sessions were powerful for Tara. They represented the first time she had been offered a nonjudgmental space in which to explore her adoption story, including those elements that did not fit with the dominant adoption narrative she grew up with that highlighted only the “happy” and “fortunate” aspects of her story. Tara’s counseling goals reflected her assessment outcomes. 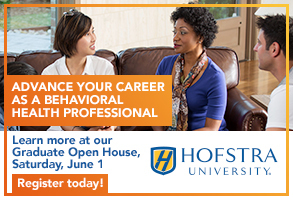 Her goals included reviewing her development in the context of adoption-related tasks; examining her racial/ethnic identity using the reculturation model; exploring and repairing instances of neglect, trauma and attachment disruptions; and preparing for reunion with her birth family. Psychoeducation: Effective interventions often start with basic psychoeducation on normative adoption-related developmental tasks using the stage theory from Brodzinsky and colleagues. For transracial adoptees, the reculturation model is also valuable as a starting point in treatment. It offers a flow chart depicting an adopted person’s removal from his or her birth family and culture and subsequent adjustment into the client’s adoptive (often white) family. The model also offers descriptors of identity-seeking activities that many transracial adoptees engage in as adolescents and young adults to gain integration of their original birth culture and racial/ethnic heritage. Some examples of these activities include touring a birth country or having extended visits, learning their original language, attending college or living in communities with others who share their racial/ethnic heritage, and participating in religious practices related to their racial/ethnic background. Tara and I used the adoption-related developmental tasks to better determine which aspects of the stages she had completed and where she might need further exploration. For example, as a child, Tara experienced periods of grief related to her adoption and transracial identity. These periods often centered on birthdays, certain holidays or the rare occasions when she saw other families who reflected her racial background. She had not shared these feelings with her adoptive parents because she was afraid it would hurt their feelings and she would be considered ungrateful for having been adopted. While examining the reculturation model, Tara was excited to discover that her various activities to engage with the racial and ethnic group of her birth, such as attending a historically black college and moving to a more diverse community, were important parts of her racial identity development. Interactive timelines: Timelines that use large, floor-length paper serve as useful visual tools for the counselor and client to highlight significant events in the adopted person’s life. These events can be charted using drawings, words, symbols or photos. Significant events might include birthdates (actual or estimated), moves from foster care placements, times spent in institutions or orphanages, developmental milestones, racial/ethnic identity experiences (for example, awareness of differences from adoptive families and incidents of discrimination or microaggression) and reunions with birth families. Family narratives: If a client consents and if appropriate in the counseling process, family members may be asked to participate in counseling as well. One effective technique is to ask family members to describe their experience of choosing to adopt, their feelings before meeting the child (now adult) they adopted, what the first meetings were like and what unique traits the person they adopted brought to their family. Seeking this information builds on the family narrative to include the client’s adoption and integration into the family. The process can also provide valuable observations related to the client’s earlier behaviors, particularly those to which the client would not have memory access. Including the family in the counseling process can also model and facilitate discussion about adoption, racial/ethnic differences and challenges the family faced (and perhaps still encounters) as a transracial adoptive family. As Tara and I created her timeline, listing important developmental milestones and including adoption-related tasks, we realized more information was needed regarding her initial adjustment into her family. Tara indicated she thought it would be helpful to ask each family member to share his or her memories and observations of first meeting her as a toddler. Tara also used this opportunity to let her family know she was working on figuring out her “adoption and identity” in counseling. Tara’s family emailed their accounts and memories of when they first met her. Tara found these messages helpful. They offered important information about how frightened she was as a young child and highlighted all of the survival strategies she employed to feel safe. For example, she initially hid food in her room, rocked herself to sleep and would not engage in physical contact with her new family. All of these behaviors are typical safety-seeking strategies that younger children may use to protect themselves in the absence of predictable and nurturing caretaking. Tara’s timeline now reflected her “survivor toddler” self and highlighted the inner strengths she possessed even as a very young child. Bibliotherapy/cinematherapy: Counselors can offer clients a significant number of quality books, memoirs, magazines and documentaries, many of which were created by transracial adopted persons, as supplemental work outside of session. Counselors can encourage clients to journal about their emotional reactions to these creative works, and this feedback can be used further in sessions. Many transracial adopted persons grew up isolated from others like them, so gradual exposure to those with shared experiences can be a powerful and healing counseling tool. Tara read multiple books on transracial adoption and adoptee identity development. In addition, she found documentaries depicting the life experiences of other transracial adoptees, including some that featured reunions with birth families. She found these outside-of-session activities helpful in further normalizing her experiences. Reunion preparation and maintenance: Ideally, reunions require preparation and planning to manage the myriad emotional reactions that are often experienced by the adopted person, birth families and adoptive families. Counseling can be effective in offering psychoeducation on the possible emotional responses to reunion as well as its potential impact on the client’s family systems. Reunion maintenance involves using counseling to help adopted persons manage the multiple new relationships in their lives. In particular, counseling helps the adopted person explore issues related to “divided loyalties” between birth and adoptive families. A reunion may represent the first time that a transracial adopted person is incorporating another person of color into his or her adoptive family system. Counseling based in the multicultural competencies can assist the adoptee in acknowledging issues related to privilege, social class and racial/ethnic differences during reunion maintenance. While in counseling, Tara located and reunited with two of her birth siblings via social media. After the initial excitement of the reunion, she struggled with integrating her newly found siblings into her adoptive family. Issues related to race, social class and privilege were continually explored in counseling. This helped to alleviate and normalize the push and pull she experienced as she navigated the complexities of her new family system. Adult adoptee support groups: These groups can be helpful adjunct components of the counseling plan. These groups, particularly if diverse in their racial/ethnic makeup, can offer normalization and validation to transracial adoptees via shared experiences. 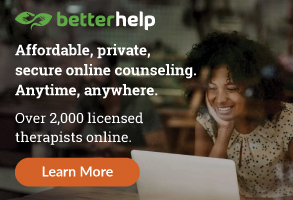 If in-person support groups are not available, then offering online resources, including Facebook groups, may be an acceptable supplemental alternative. An adoption agency in Tara’s community did offer a monthly adult adoptee meeting. She found this support helpful, particularly because she was able to meet other transracial adult adoptees who were also in various stages of reunion. The counseling process may represent one of the first times that transracial adult adoptees experience a safe, nonjudgmental environment where they can actively explore, critique and examine the impact of adoption and transracial identity on their development. 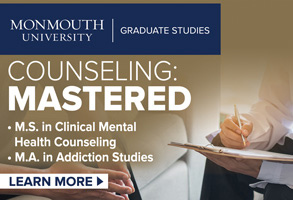 The desired counseling outcomes will be unique to each individual. 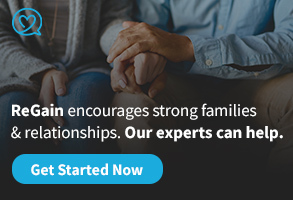 However, counseling offers a structure through which clients may begin the reparation process of examining their adoption stories (including pre-placement circumstances), identifying their attachment strategies, integrating the realities of their differing racial/ethnic heritages (adoptive and birth families) and beginning or adjusting to reunion scenarios. Tara worked with me for approximately 14 months. During that time, she was able to repair her adoption narrative by understanding and acknowledging her pre-adoptive circumstances; began working on strengthening her attachment strategies with her family, her romantic partner and her friends; and gradually integrated her birth family and adoptive family. Throughout the counseling process, her identity as a biracial (African American and white) person was examined within the context of social class and privilege and its impact on her development as an adult. Counselors who work with transracial adopted persons can build their skills by considering continuing education course work in adoption, multicultural counseling and family systems. All counselors can implement basic alterations to their practice that will be helpful to this population. These include the following suggestions. Include “adoptive status” during the intake assessment. Clients are not often asked about adoptive status during intake. This omission can send the message that counseling is not a place where adoption-related concerns can be explored. Add this category in the demographic section of the intake assessment to suggest that the topic of adoption is welcome in your counseling practice. Include racial/ethnic categories in the “family of origin” section. It is easy to assume that the client’s racial background is similar to that of his or her family of origin. Adding individual categories describing racial/ethnic demographics for the client and important family members welcomes discussion and exploration of racial identity in particular and multicultural issues in general. “Broach” the topic of transracial adoption as a clinical area to be explored. Norma Day-Vines and colleagues’ 2007 research on broaching described the process by which counselors can effectively attend to racial/ethnic differences between counselors and their clients. The same concept can be used with transracial adoptive status. This status in and of itself may not be the presenting issue in counseling. However, it is important that counselors acknowledge the context and its impact on the client’s overall experience. Examine the stereotypes or myths held about adoption, adopted persons, birth/first parents and adoptive families. Despite generally evolving sentiments, stigma related to being adopted or making an adoption plan as a birth parent still exists. Additionally, adoption is often portrayed solely as a happy solution for parents and children without also acknowledging the inherent losses that accompany it. To build self-awareness, counselors should examine their own experiences with adoption (in their families, among friends and within their communities) and then consider the stereotypes, myths and beliefs that they hold. 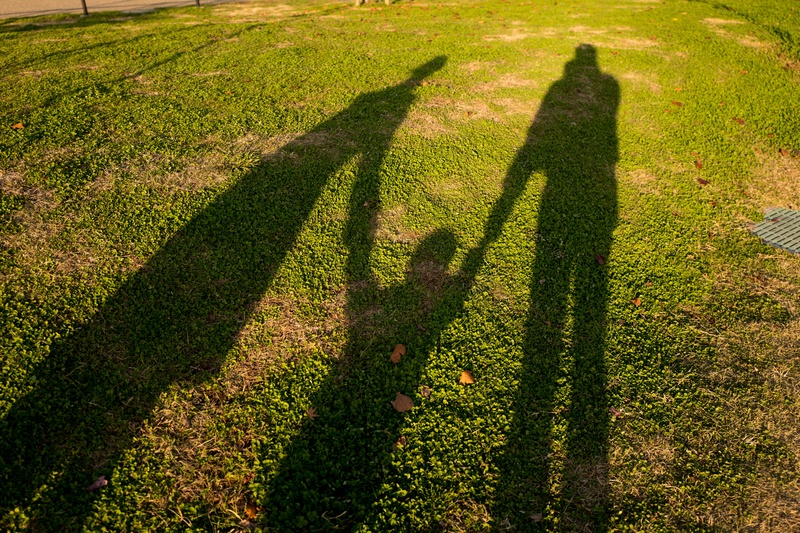 Explore adoption-sensitive resources to provide supplemental support. Research the post-adoption resources available in local family services departments to provide supplemental support for adopted persons. Counselors can also research post-adoption services offered by private adoption agencies in their communities. Finally, the online transracial adoption community is plentiful and can offer support to those clients beginning the process of engaging with others. Susan Branco Alvarado is a licensed professional counselor in independent practice and a doctoral student in the counselor education and supervision program at Virginia Tech in the National Capital Region. She is also a 2014 fellow in the National Board for Certified Counselors Minority Fellowship Program. Contact her at salvarado@adoptiontherapist.org.